October starts with a Boom! After the relatively quiet low-season in the region, we were finally happy to see the arrival of October. 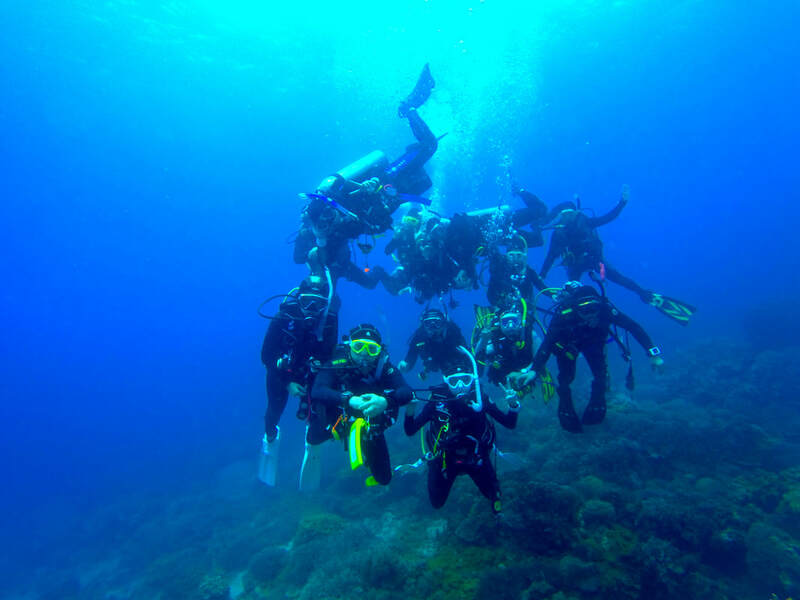 We were privileged to have multiple groups of divers staying at the resort, experiencing the delightful diving sites of Zamboanguita, Dauin and Apo Island. The conditions were amazing and all of us had immense fun with some memorable underwater encounters. In the picture we can see one of our Korean groups coming to together during one particular Apo Island dive before dividing into their smaller dive groups to enjoy their turtle encounter. Saturday 16th September 2017 was 'International Coastal Clean Up Day' and as expected we played our part in ensuring the Zamboanguita beaches were maintained. We sat and decided to better spread the news about the wonderful paradise in which we live. Many guests travel to the Philippines in general and Dumaguete specifically to experience a peace of mind. As we are one of leading scuba diving resorts in the Dumaguete area, we felt it only fair to show you exactly how wonderful life can be. The blog is maintained by management. Please be gentle!